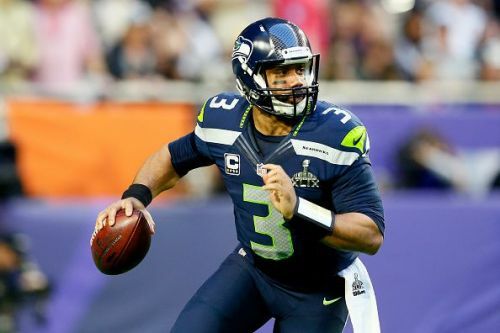 Just before the self-imposed deadline clock was about to strike, Russell Wilson and the Seattle Seahawks agreed on a massive contract extension that makes Wilson the highest paid player in the NFL. The deal was struck just past midnight on the west coast. The new deal is a four-year $140 million deal, with $107 million guaranteed, making it the largest contract in NFL history. On top of all that, Wilson received a very generous $65 million signing bonus, also the largest in NFL history. Wilson's contract now runs for the next five years, with a total of up to $157 million coming his way if he meets each of his incentives. Wilson's new contract continues the trend of contracts in the NFL getting richer and richer. Kirk Cousins set the market last offseason when he and the Minnesota Vikings agreed on a three year $84 million deal, all of which was guaranteed. Matt Ryan followed up by agreeing with the Atlanta Falcons a five year $130 million deal, which was then shortly passed by the Green Bay Packers and Aaron Rodgers when they agreed upon a four year $134 million deal to keep him in Green Bay for the rest of his career. Wilson has now set the new bar, which is very high. $107 dollars guaranteed is unheard of in the NFL, and a $65 million signing bonus is unprecedented. Now that he has taken care of his contractual situation, Wilson and his team will look forward to the 2019 campaign after coming off a surprising 2018 season. The Seahawks finished 10-6 last season, with many writing them off after an 0-2 start. Pete Carroll and Russ Wilson will have to continue to carry the load in the Pacific Northwest, but that hasn't been a bad thing at all. 2019 NFL Draft Order: Who picks when in the NFL Draft?